Happy December lovelies! Can you believe Christmas is 25 days away? I've definitely said this multiple times but this year has completely flown by. But now we're full swing into the holidays and I'm already experimenting with my holiday looks. I love that during the holidays it's perfectly acceptable to sparkle a little more than on an every day occurrence so I love experimenting with shimmery colors and highlighters this time of year. 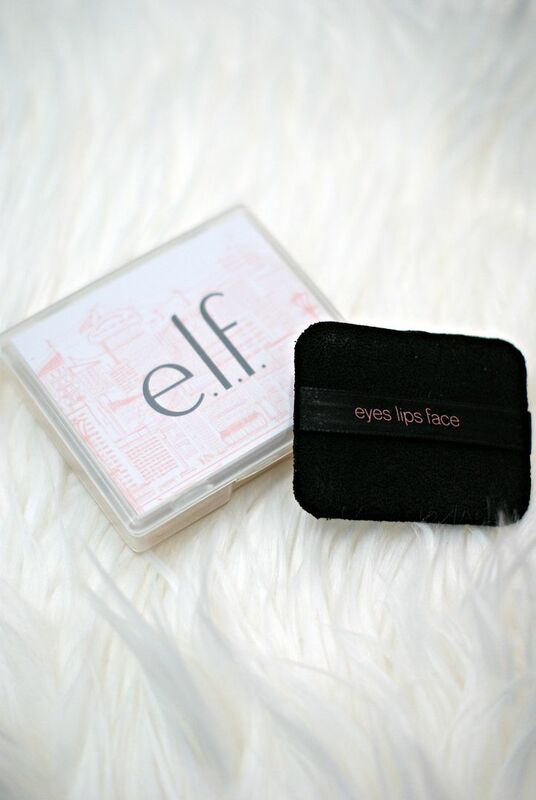 That's why it was perfect timing to receive my second shipment of e.l.f cosmetics to try out! This time around I received the Illuminating Palette, the Prism Eyeshadow Palette in "Sunset", the Kiss it Goodbye Lip Color Remover, the Precision Liquid Eyeliner, the Moisturizing Lipstick in "Ravishing Rose" and the Mattefying Blotting Papers. Of course immediately after receiving this package in the mail I ran off to play with my new goodies! The Illuminating Palette was by far my favorite thing in this set. The palette includes 4 gorgeous shades to mix and match or use on their own. The top left color is perfect to highlight your eyes or your cupid's bow to give the illusion of fuller lips. All of these colors are perfect for any skin tone and really give a soft glow perfect for the holidays. 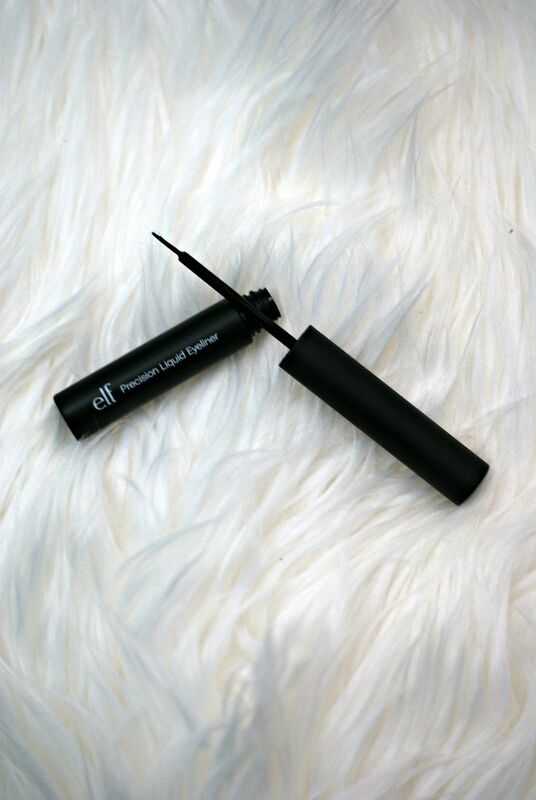 The e.l.f Precision Liquid Eyeliner was my second favorite which comes as no surprise since it's one of their best selling products. The tapered brush is a bit different from the liquid eyeliners I'm used to so I wasn't sure how I'd like it at first but I ended up loving the precision it gave. The liquid glides on smoothly and easily produces a thin or thicker line depending on what you want. The Moisturizing Lipstick was the perfect rosy shade that goes great with a bold eye or just as an every day color. It's not too bold and not too light and glides on with a creamy finish. I was surprised at how impressed with the Kiss it Goodbye Lip Color Remover I was. I'm a huge fan of bold red lip colors and often notice even after washing my face that some of the color stays behind unless I scrub really hard, which I don't usually like to do. I was skeptical when I gave this a try on Saturday night after wearing a bold lip color our all night. I washed my face like usual and noticed that my lips were still stained so I reached for this little tube. I dabbed a little on my finger and rubbed it in and waited about 30 seconds before wiping it off with a cotton ball and voila, lipstick be gone! I'm definitely a believer now and will be using this every time I wear dark or bold lip colors! I'm still on the fence about the Mattefying Blotting Papers. I regularly use another brand of blotting paper so I had high expectations for these. The packaging is adorable and I love that it has a mirror included but I don't know if they work as well as my regular ones. They have a translucent powder on them so they absorb oil while also providing a matte finish. Going to use these a few more times before I make up my mind on them. I loved the last Prism Eye Shadow Palette from e.l.f I received but these colors weren't really "me". The colors were gorgeous, extremely fitting of the name "Sunset", all were very luminous and shimmer and lasted all day. I definitely decided to have fun with this palette and try out some different looks. The gold and rose gold are perfect colors for the holidays to give yourself a warm glow. The eye shadow colors look so pretty! Super cute ELF products, lady! Love the color palette and will want to learn more about the blotting tissues. I use another brand as well, but am a huge fan of ELF prices. I got the luminator set (altho mine looked different) a while ago and really liked using it to blend colors, too I love elf products for trying out new stuff without breaking the bank. 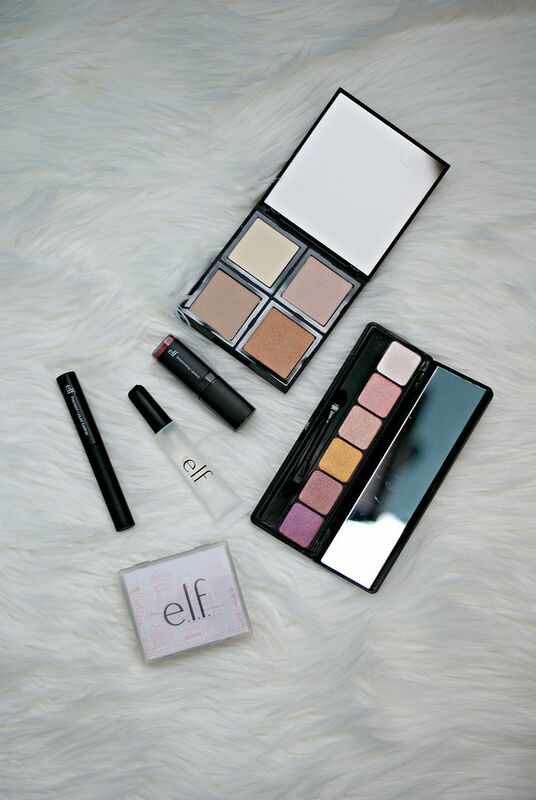 I love most of the elf products! I use the lip scrub all the time.. Such a great price for what they sell! I haven't gotten anything new from them in a while! I'll have to check them out again! Oh my gosh, reading this post made me realize how lame I am in the make up department, ha ha! I need to start branching out more!! I love all of the colors in that illuminating palette! I feel like they would give the perfect amount of color. I'm totally with you - I love that the holidays are a good excuse to add a little more sparkle to your makeup! Glad to hear that the lip color remover was effective...I've never had much luck with those so I'll have to give this one a try! I like how innovative they are with their products and they are such a great price point. I wish my Target had a larger selection, I have to go to Ulta to get them and it's not close to me but it's worth it especially when they have their coupons running. I love the first eye shadow palette and I need that eye liner in my life! I've been looking for a cheapish liquid eyeliner so this would be perfect. I tried their lip exfoliator recently and everyone is obsessed with it but I have to say I don't really get what the fuss is about. My lips are still pretty flakey so I don't know if I'm not doing it right or what. The illuminating palette looks amazing!! And I need to try the lipstick remover. Loving your photos on the white furry rug!! I love all of this!! But thate eyeliner... I typically use MAC but might have to change my tune after seeing this! That lipstick remover is genius! I have to get some of that! The ELF section at my Target is always cleaned out, and for a good reason! I have actually never tried elf make up just their brushes! Definitely want to pick up that liquid eyeliner though! Those brushes are my favorite and I have one now and it's starting to clump from a different brand! Definitely will have to scoop that up! I've never tried Elf makeup before!! Loving what you picked though and love any excuse to add glitter or sparkly eye shadow this time of year! So fun. I love how affordable elf is! It makes me more willing to try new fun colors! Thanks! 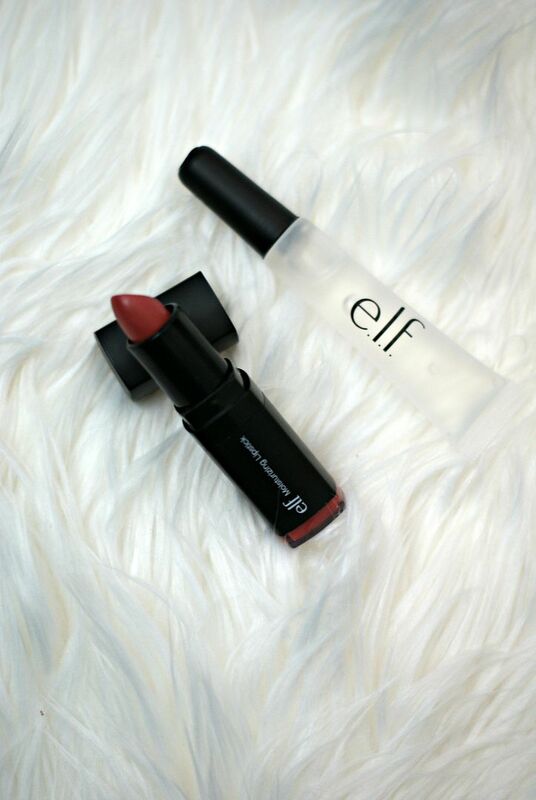 Love how inexpensive ELF is and I am always a fan of a healthy warm glow. I use Kat Von D eyeliner, and I've yet to find anything that compares! I use her "trooper" eyeliner and I love the brush. I've purchased cheaper liquid eyeliners and the brushes are hard and don't give you that paint brush effect, like hers does. How would you describe the brush on this eyeliner compared to others you have used? The illuminating palette is gorgeous! And of course - you seriously can't beat the prices! I love the colors in those pallets! I love searching the aisles for goodies to give as stocking stuffers - with their prices it's always so perfect! I love ELF products! I need to see if they carry the brand here or not!! oooh, love love these palettes - it's always so much fun to play with new makeup! Ohhh I love that Illuminating Palette!!! It looks so pretty! I will have to try it and that lipstick remover out! Love those eye shadow colors! I've never used this brand before. May have to give it a try! 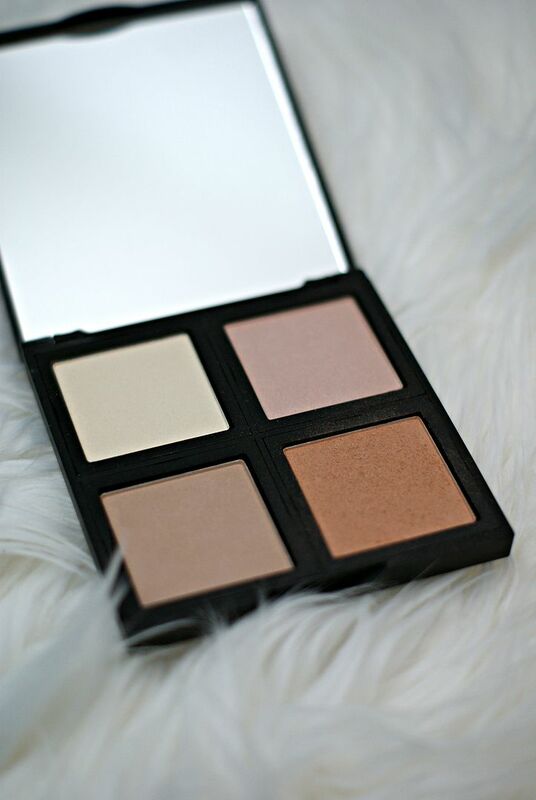 The illuminating palette is perfect for this time of the year! The eye liner is fabbb!! The liquid liner sounds amazing. I want to try theirs out. The shimmery colors of the Sunset palette are gorgeous but I'm just not sure they'll look good on me either...maybe on two of the colors. What an awesome package to receive right before the holidays! I just saw someone talk about the Bite Beauty lipstick remover, but it looks like the elf version works just as well - I'll definitely need to keep an eye out for that. And, the illuminating palette looks gorgeous! Yay for fun holiday makeup! 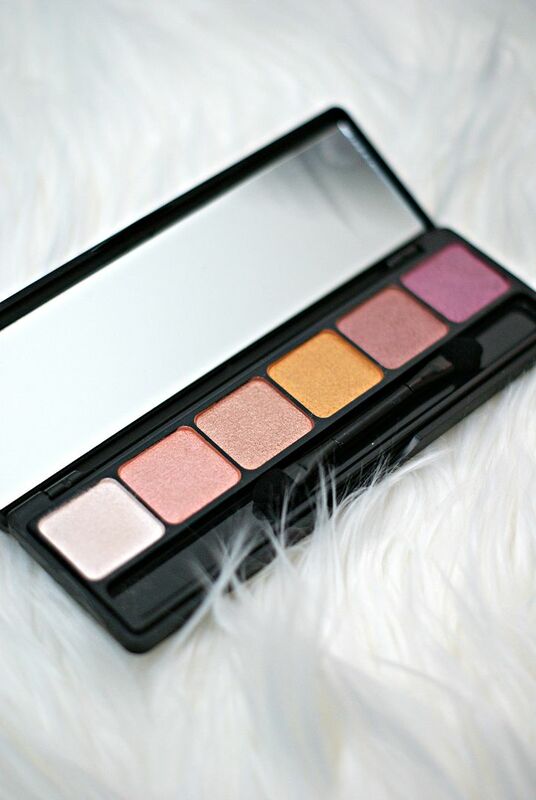 ELF eye shadow palettes are great! I love ELF products! I always can't believe how cheap they are. I just picked up some ELF eye shadow so I just need to figure out how to wear it now hahah I am so bad at doing eye shadow! I have to be honest..I've never tried elf! I am always so amazed at the awesome prices, but I've never taken the plunge. You may have convinced me! That illuminating palette sounds real nice. YOu're the second person I've seen post about the lipstick remover and I definitely need to get some! I love ELF and I really feel I need the Illuminating Palette in my life! I haven't bought any of their products in awhile but all of their new products sound so amazing! I have tried ELF eyeliner and really like it! I LOVE Elf products! I think they're great quality for the price! All those gold shadows are giving me life! Love that lip color! So far, I've loved most ELF products that I've tried! This is such a fun post! And how great that you get to try out new products you might not ordinarily buy yourself... I love those eyeshadow colors. Like you, I never thought those colors were right for my skin tone (pale, freckly), but a makeup artist told me that orangey pinks are actually great for so many people! Pamela, thank you for the great suggestions and product review. I have never used elf but it sounds like a great brand. Thanks for sharing and have a great day! I have never tried Elf makeup products. I love the eyeshadow colors! I'll definitely check out this brand. Have a nice day! I don't wear make up, but these look gorgeous. I cannot believe how quickly this year has just flown by either! i have been curious about that palette, the glowing one, so glad it hear it met your approval! I totally need that lipstick remover! That is brilliant!! Did you know the bottom of the lipsticks actually pops off? (; There's a small amount of product in it and it looks almost like a gloss. I need to get my hands on that illuminater palette as well has their contour one! ooooh that Illuminating Palette looks amazing! i need it. and good to know about the blotting papers, might stay away from them for now. that eye shadow palette looks interesting...definitely not my kind of colours either lol but still pretty! I haven't tried elf products in years! I seriously need to fix that!! That lipstick color is gorgeous and I love the illuminating palette! I've always wanted to try one of those because they look like so much fun!